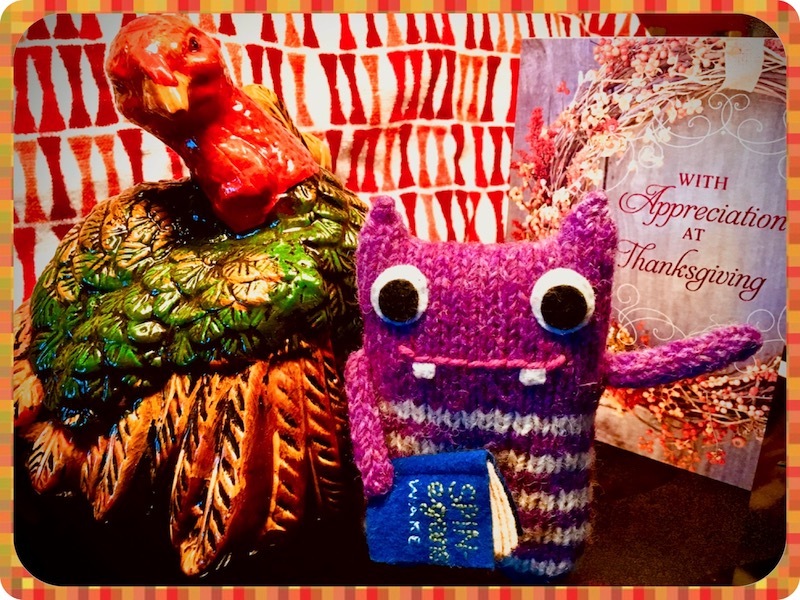 Happy Thanksgiving from Finn & Co.
Finn McSpool and his poultry pal want to Wish you a Happy Thanksgiving!!! And to those of you not in the U.S….Happy Fourth Thursday in November! Nothing more exciting than that fourth Thursday, let me tell you. Next Post Limited Time Offer!! It’s good to see Finn put his unique twist on his holiday greetings. Hope all of you had a Happy Turkey Day! Weekend? Ha! I took a few hours off yesterday to eat and watch a Poirot. Other than that the “holiday” has been divided between time at the computer and time plotting my next attack on the book world. This is true. I’d much rather be trapped under a pile of manuscript pages and marketing books than have to face the masses of crazed shoppers. Me too… Fighting with a stranger over the last cut-price toaster? Um, count me out! Yes, even the promise made by one store of free donuts and coffee couldn’t lure me into their mayhem of half-price socks. I hope you had a nice holiday! Boy is Thanksgiving depressing as an ex-pat. I went to work where people asked me all about turkey and made Trump jokes…. then I went home and ate a pizza. AMERICA! I’d rather be made fun of as an ex pat than have to endure this FreakShow of a presidency! Plus, pizza for Thanksgiving? Sign me up!! I hope you at least cut the cheese into turkey shapes to make your “dinner” more festive. Chicken stock to cook veggies? Why would someone do that to an innocent little veg? No thanksgiving is complete without a quantity of wine that outweighs the turkey!